Today we’d like to introduce you to Jason Kraus. I’ve always had a passion for innovation whether it was coming up with a new game to play with my friends as a kid, creating out of the box solutions for a project in class to creating an app in college to help find events at local bars/restaurants. I graduated from Colgate University with a BA in Economics and Mathematics and a background in wealth management. I then went to Babson College for a Masters in Entrepreneurial Leadership, interning with the Boston Harbor Angels group while I was there. I fell in love with the idea of interacting with entrepreneurs and helping them fund and grow their businesses. Upon graduation, I worked at a local VC firm, screening through many investment opportunities. I noticed trends, keys to success and mistakes to avoid in the pitch decks I was reading, and I started to do consulting work on the side to help entrepreneurs craft better pitches. After initial success, I left to start Prepare 4 VC and give every entrepreneur the opportunity to create fundraising materials investors are excited about. I’ve been working with companies across an array of industries, with a focus in the Tech space and built up the business through additional services and partnerships. For example, we are now able to offer webcast presentations to an investment group of Angels through Equity Venture Partners and services for Equity Crowdfunding companies and investors through Mattervest. The future holds some exciting new developments in the pipeline as we continue to help entrepreneurs create, build and fund their businesses. The biggest challenge is balancing client work with networking, marketing, and internal projects. At the beginning we operated with a cyclical approach, focusing on client work as a priority and internal projects in between clients. As the company gained traction, however, this approach was not sustainable and I have developed a system to allocate time across all tasks, including both client projects and Prepare 4 VC projects. So, as you know, we’re impressed with Prepare 4 VC – tell our readers more, for example what you’re most proud of as a company and what sets you apart from others. The fundraising process is a difficult and time consuming but necessary stage for most early stage startups. We use our expertise to guide the entrepreneur in their fundraising strategy and create their fundraising documents with them, cutting down time the time the founder has to spend away from their business and improving the quality, design and flow of the presented material. In addition to being home to the best Pro Sports teams in the World (if you include the Pats in Foxboro of course), Boston has become a major hub for innovation without dozens of co-working spaces throughout the city and events and meetups for entrepreneurs every night of the week. Even the Angel investing community is one of the most collaborative in the nation, with a partnership between the Angel Groups in the area for syndication. 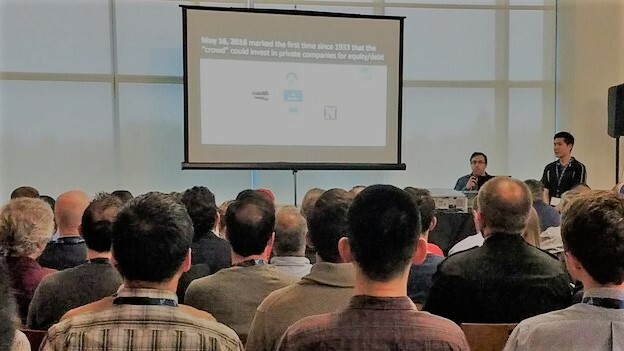 One area that still needs improvements in the Boston Startup scene is the fundraising timeline and the amount of time startups need to spend raising funds, and this is an area Prepare 4 VC intends to help.